We love our fat quarters! That's why we've been fizzing up a new quilt, here at Fat Quarter Shop! 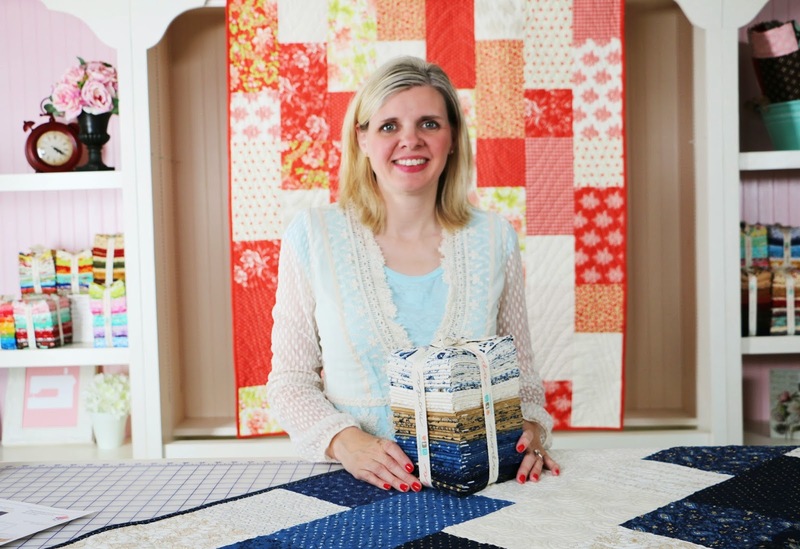 Introducing our newest Shortcut Quilt, Fat Quarter Fizz! 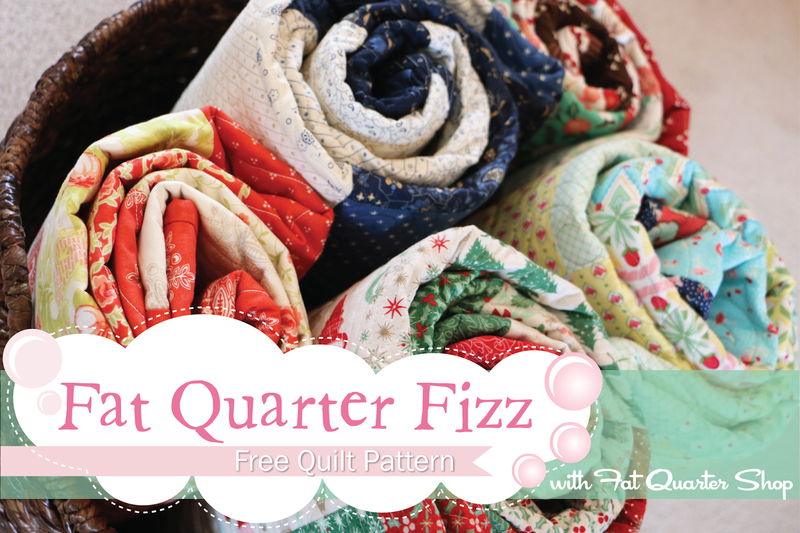 The Fat Quarter Fizz pattern can be made with a few or a lot of fat quarters, depending on how large you want to make it! We wanted to make the quilt as easy as possible, so both beginners and advanced quilters alike can sew along! 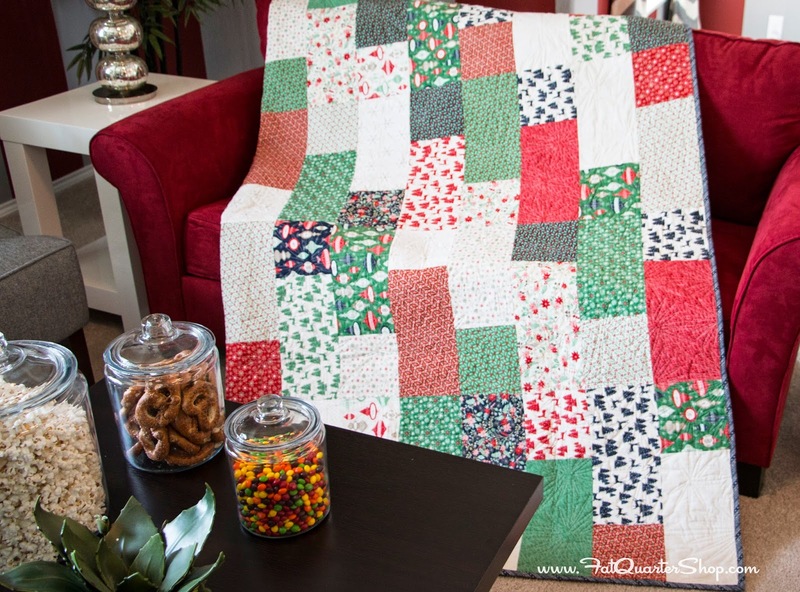 Fat Quarter Fizz quilt in the Into The Woods collection and a special touch on the back! Are you ready to get started? First, you need to download the FREE Fat Quarter Fizz Pattern, pick up your favorite fat quarter bundle, watch our video tutorial, and get sewing! Don't know which fat quarter bundle to pick? We have an amazing selection of fat quarter bundles. 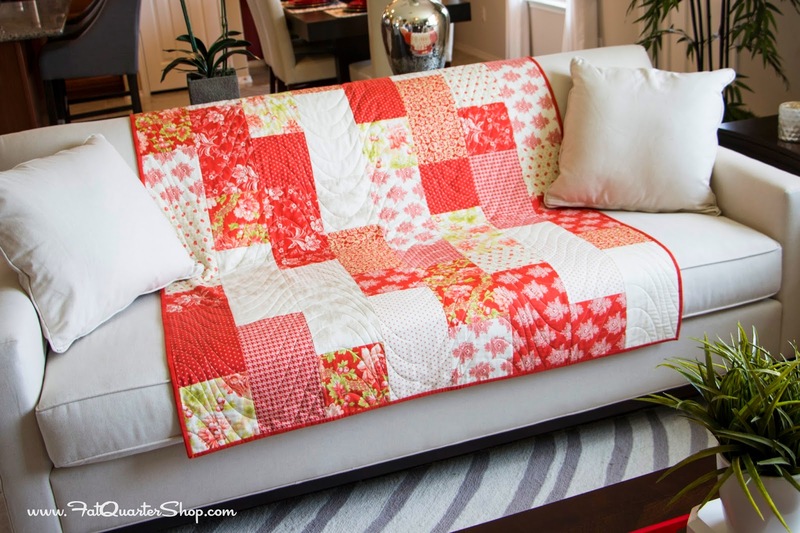 We teamed up with a bunch of your favorite bloggers and designers who are showing off their versions of the Fat Quarter Fizz quilt on their blogs. Hop over and get some inspiration before you start your own quilt! So let us know, what do you think of the video? When you make your Fat Quarter Fizz quilt, be sure to add photos to our Shortcut Quilts Flickr Group, or post them on our Facebook Timeline! Thank you so much for joining us!